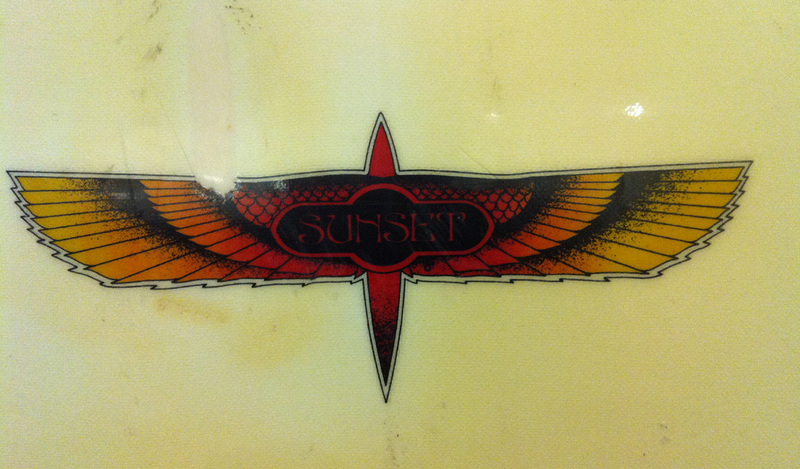 Original Sunset Bird Wings logo top. Fine reprint bottom. 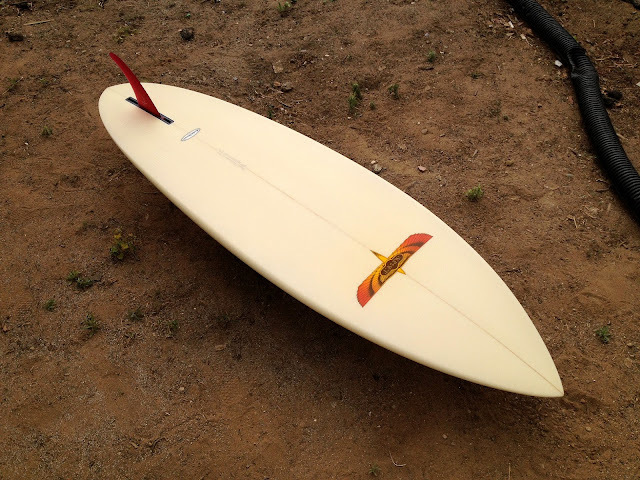 Classic Sunset Surfboards single fin. 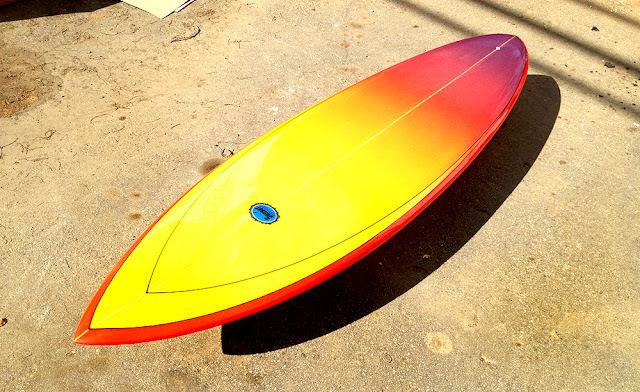 Lovingly handshaped by Brian Fredrickson with original Sunset templates. Classic fade airbrushes by Peter St Pierre. Built by the same crew of guys who made Sunset Surfboards back in the day. 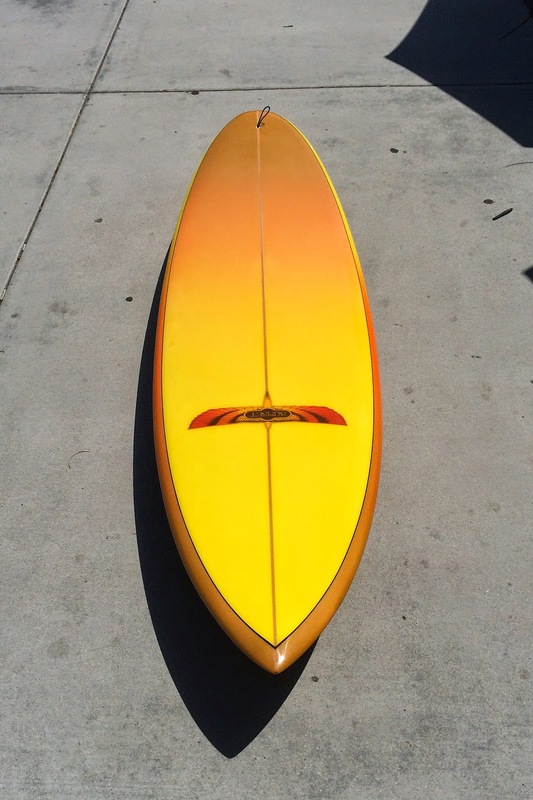 Classic Sunset Surfboards 1970’s single fin replicas are back in stock at Surfy Surfy! All boards shaped by Brian Fredrickson who ran the Sunset Surfboards shop for 2 decades. 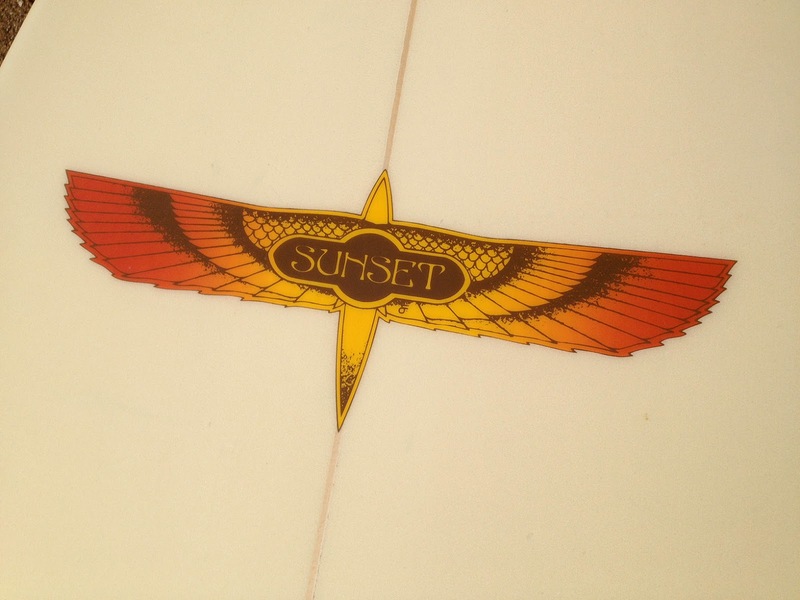 The classic Sunset bird wings logo! 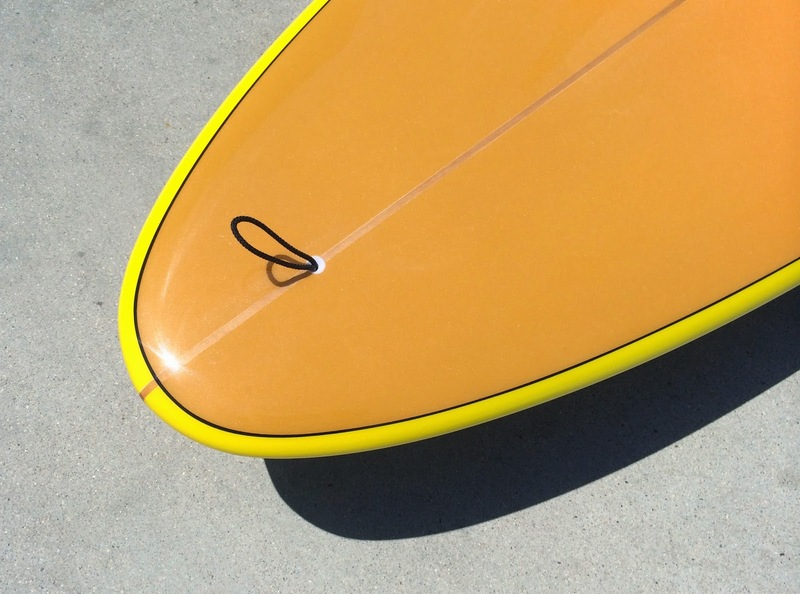 The decades of quality surfboard manufacturing tradition continues. 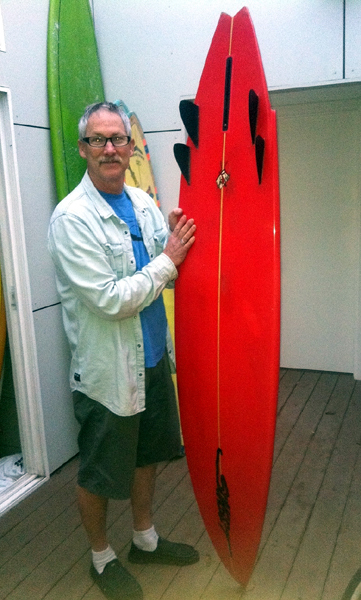 Shown: Brian Fredrickson of Sunset Surfboards with an original 1970’s Microgroove single fin and one of the new stock boards he shaped us. 6’0′, 6’2″, 6’4″, 6’6″ Here is the finished batch of Sunset single fins we had Brian Fredrickson shape us off the original 1970’s templates he had stashed away. 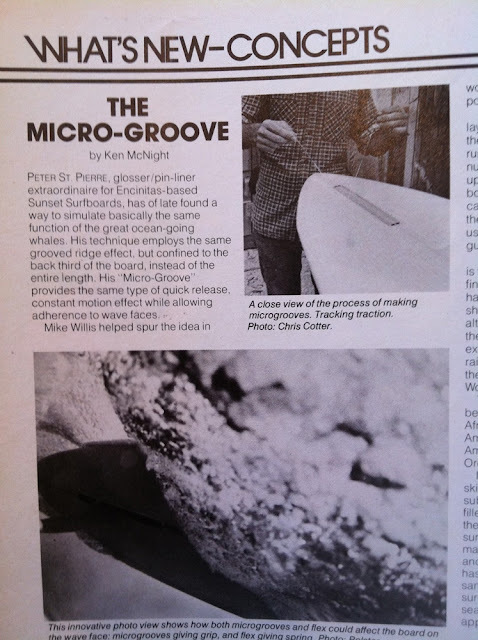 Featuring Microgroove technology and classic airbrushes and pinlines by Peter St Pierre. 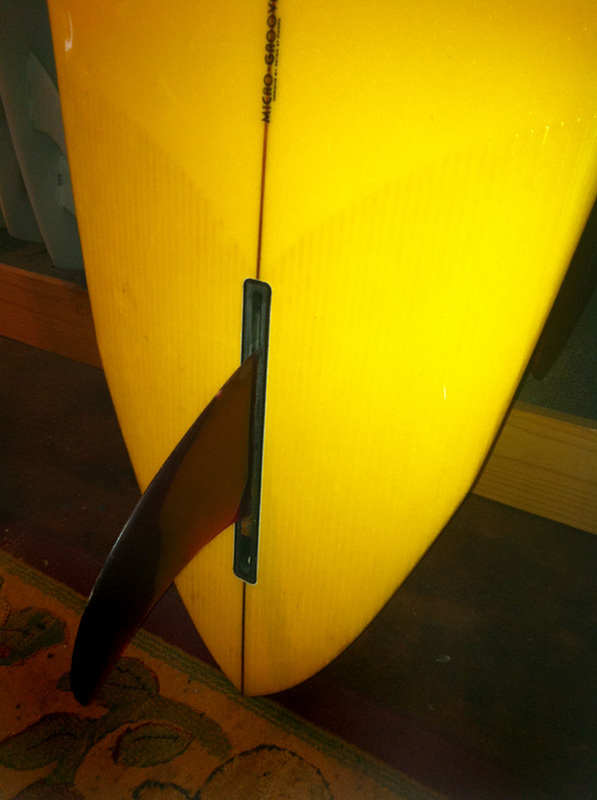 There is no cure for Single Fin Fever so you might as well embrace it. 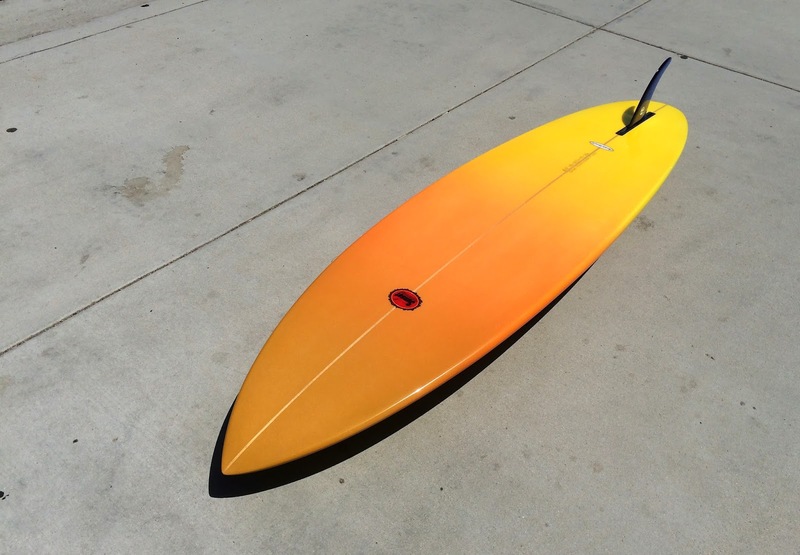 We commissioned Brian Fredrickson of Sunset Surfboards to shape us a few replicas of the classic Sunset single fins of the 1970’s. 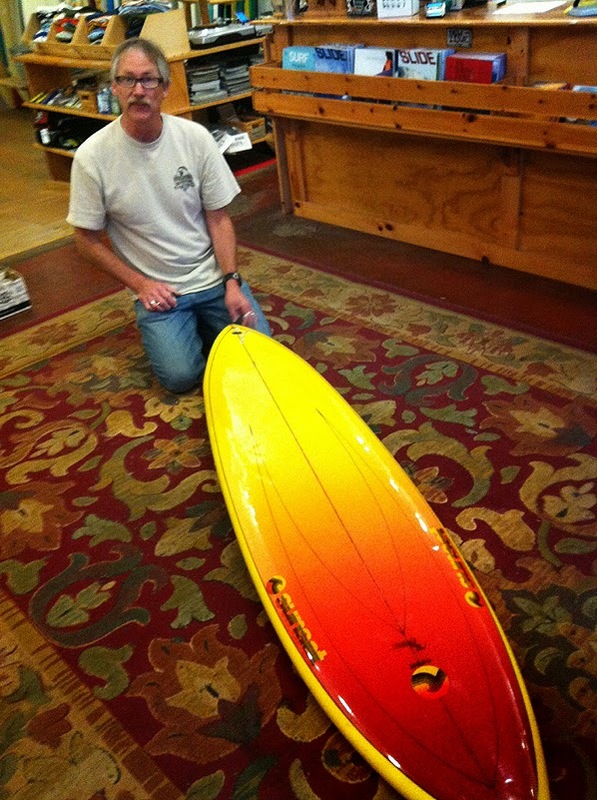 Sunset Surfboards was located on the coast highway in dowtown Encinitas from the late 1960’s to the early 1990’s. Sunset was founded by Ed Wright who later passed the torch to his protege Brian Fredrickson. 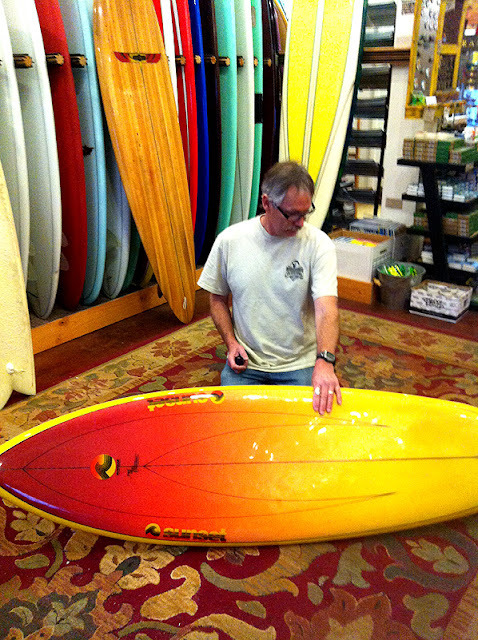 The Moonlight Glassing surfboard factory crew began in the downstairs section of Sunset Surf Shop. 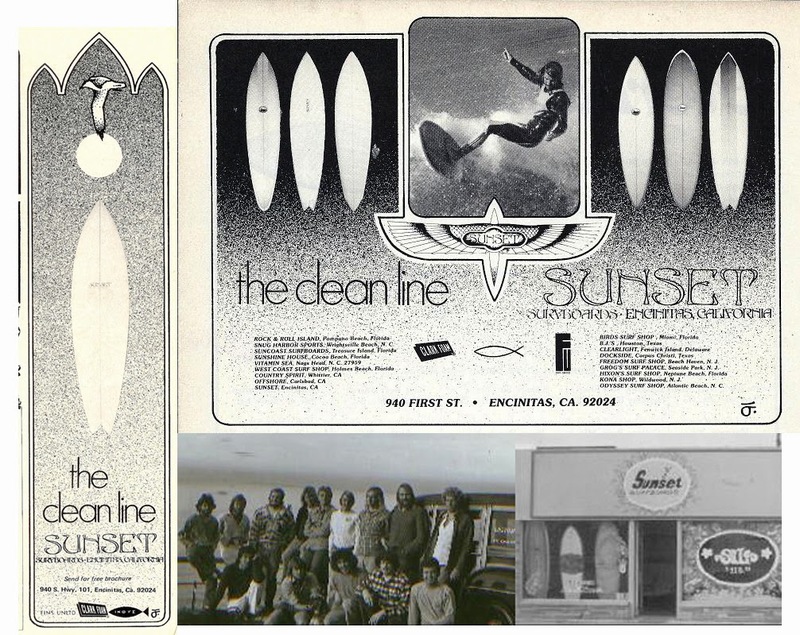 When Sunset expanded it’s retail space in 1979, Moonlight Glassing moved to an industrial park 7 miles inland where it’s been every since. Surfy Surfy Surf Shop is based off my early fond memories of hanging at Sunset when I was a little kid, later working there in the back alley doing ding repair as a teenager and bugging the sales girls at the front counter. This 6’4″ is off an original template, the rocker and rails cleaned up for 2013. 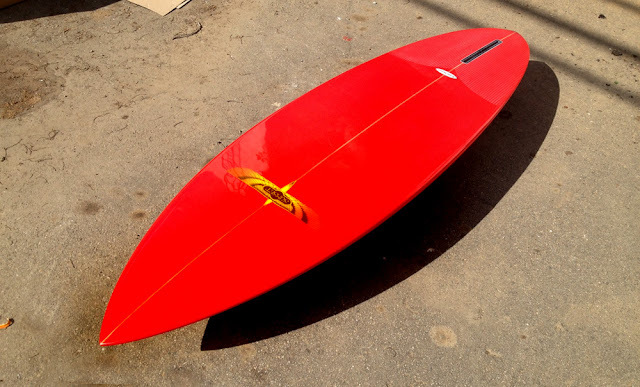 This shape will be available in 6’0″, 6’2″, 6’4″ and 6’6″ with similar airbrush designs. 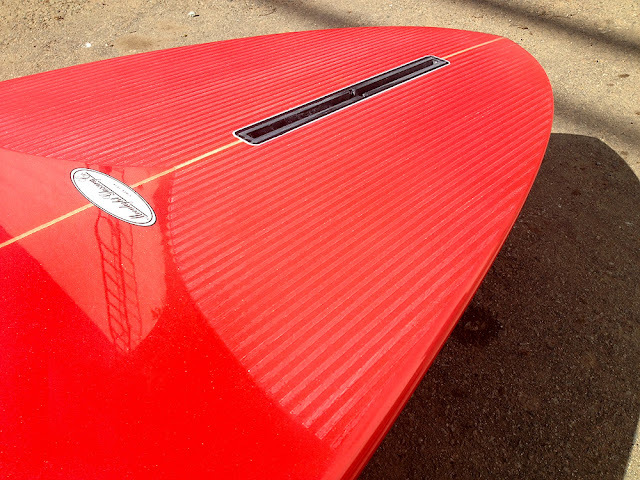 This board also features the rare and amazing microgrooves. Shaper Brian Fredrickson with one of his 90’s customs. 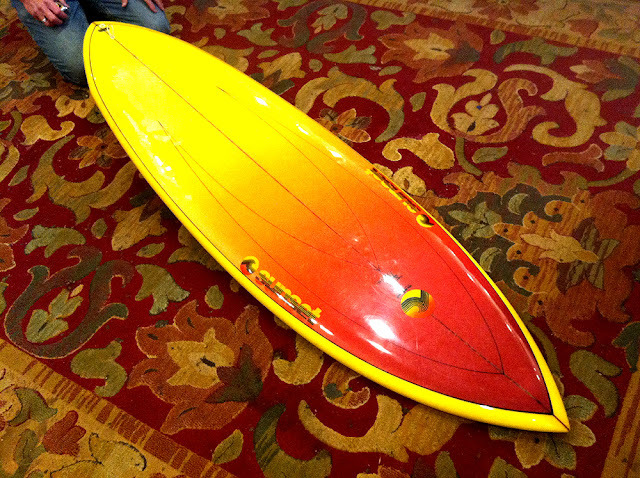 This beat up but still functional Sunset Surfboards 5 fin e-wing Bonzer came thru the shop recently. 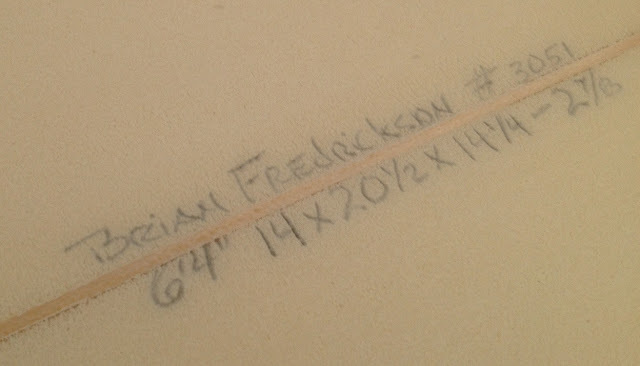 Shaped by Brian Fredrickson at Moonlight Glassing. 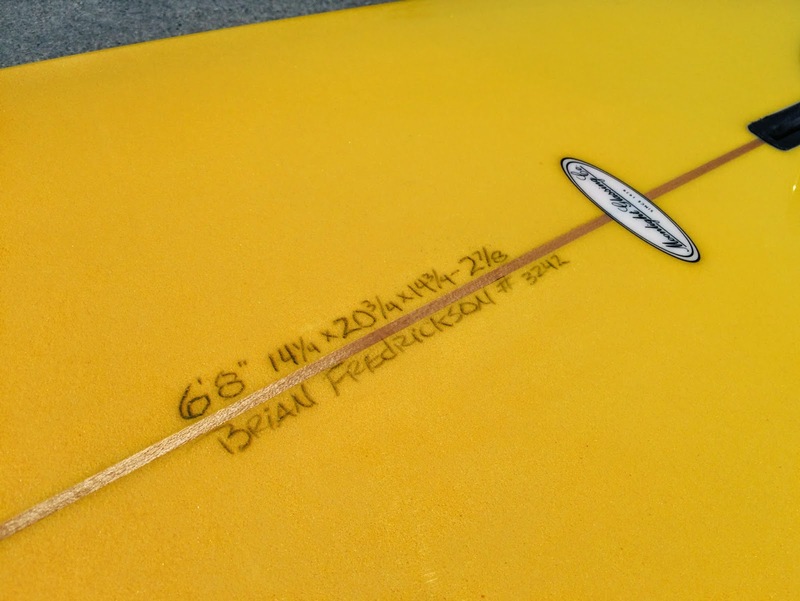 I used to ride these exact same boards from Brian. B.F. shapes a great e-wing along with creator Max McDonald and Malcolm Campbell.